Is Video Interviewing Damaging Your Employer Brand? The way that employers are interviewing is changing. Its moving from face to face to virtual, just like many other aspects of business. Just look at these illuminating stats which underline the extent of the transformation from real to virtual interviewing. An Aberdeen Group study has shown that back in 2010 just 10% of companies used video interviewing, but by late 2012 this figure had risen to a massive 42%. An Office Team survey showed an even more extreme rise in video interviewing usage with 14% of companies using it in 2011 and 63% using it in 2012. Its no surprise then that we see lots or articles advising candidates on how to perform effective video interviews, but what has been surprising is the lack of advice for employers as to how to conduct video interviews. 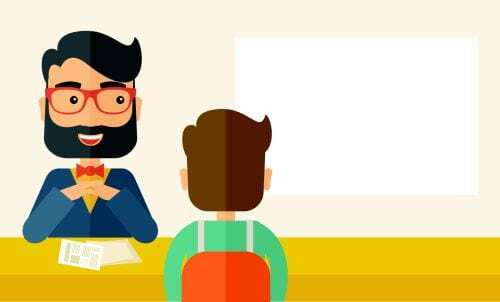 Because video interviewing is not the same as face to face interviewing for interviewers also, and requires different skills and conditions to work effectively, and if done badly it can and will damage your employer brand. This is backed up by research from the Degroote School of Business which has shown that video interviewers appear less attractive, personable, trustworthy and competent, which means that video interviews can negatively affect candidates perceptions of your employer brand. This means that employers should not take video interviewing for granted and your hiring managers and interviewers should receiving training and guidance on how to conduct effective interviews. And below we have given some tips and advice which your managers can consider when conducting video interviews. Due to the limitations imposed on participants of video interviews (as mentioned above) the researchers in the Degroote Study recommend that video interviews should really be confined to 1st stage interviewing, as a kind of enhanced resume sifting exercise, and that second interviews should adhere to the more rigorous face to face format. No amount of positive, over expressive body language can compensate for a technically bad viewing experience, so optimize the view screen so it accentuates the interviewer’s appearance and body language. Train your managers on how to set up the viewing technology, which means insisting on HD viewing technology, and top quality audio equipment and effective illumination. Try and include an employer branding intro and exit to your video as this will make your business look more professional. Also, advise your managers to set up the view so that around two thirds of their face occupies the candidate’s view screen, which will frame the interviewer’s face, enabling the candidate to see facial expressions more clearly and build a greater rapport with the interviewer. Good luck with conducting your next video interview!